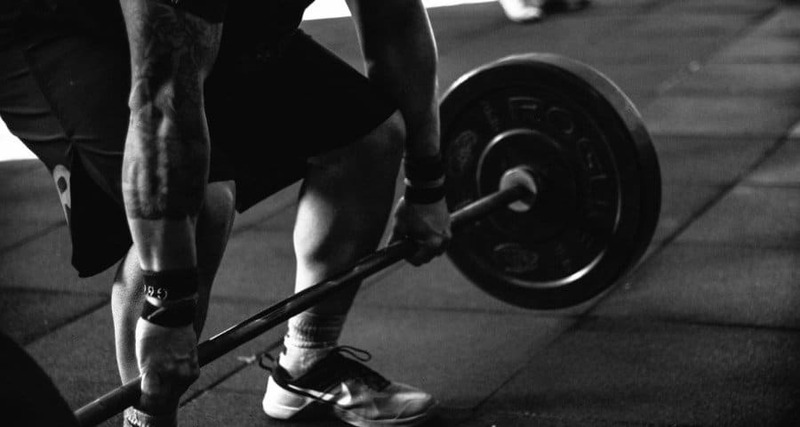 For complete strength training at home, a barbell weight set is necessary. Without it, you cannot perform such compound exercises like bench press, deadlift or squat which are proven to be the most beneficial moves for developing muscles. If you have a set at home, you can have a full body workout. I believe after adjustable dumbbells it is the most versatile and beneficial home exercise equipment. Do you want to buy a set for home that suits you the best? Within this guide, I would like to help you. You can find comparison and reviews of the best sets for different needs, and a buying guide to know what to check out while purchasing. The best Ever on the market! Rogue weight lifting equipment is used by professional powerlifters, bodybuilders and Crossfit training. Their gym stuff is made with the highest quality standards. We are talking about perfectly-designed and extremely durable items which are used in competitions and commercial gyms. Made in the USA. Giving excellent workout experience. The same is true for the weights bars and plates they manufacture. They now have 6 packages. Their price depends on the volume of weight plates and the type of barbell. 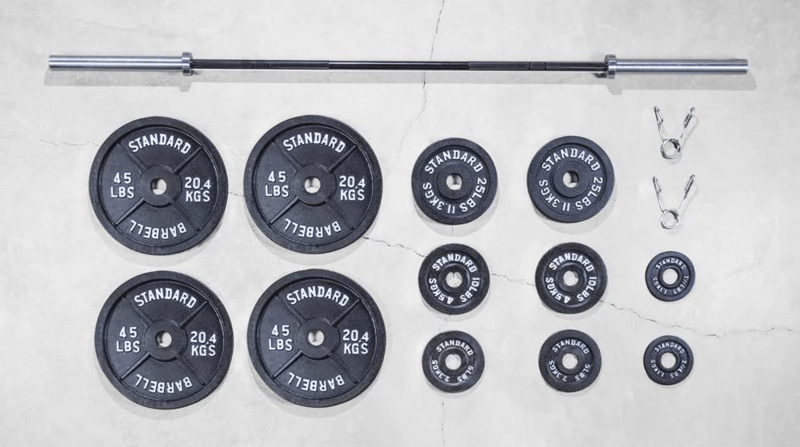 The basic free weights set is the Social Econ Bar & Plate package that comes with a professional bar, 160 lb bumper plates, and spring collars. This set is excellent for beginners, and obviously, you can buy more weights as you develop. The next 4 packages are Delta, Charlie, Bravo, and Alpha. The difference is that they come with the famous Rogue Ohio Bar (guaranteed for life against bending or breaking) and more plates. 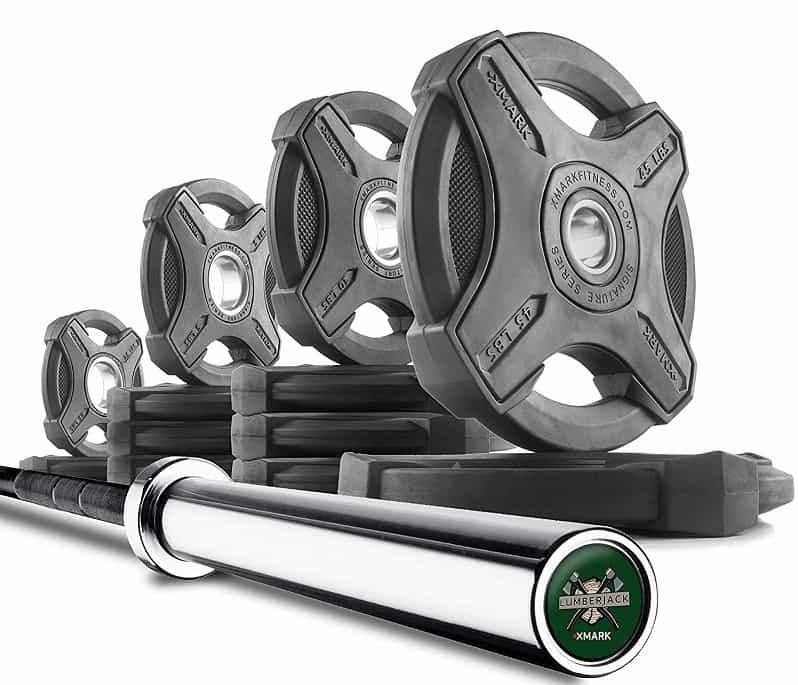 The top of the product line is the Warrior barbell and bumper set with 320 lb. By the way, I almost forget to mention that Rogue lets you create your own combination. For example, you can ask for a barbell that is made for women. Bur for such a premium quality, we have to pay more. Even the basic pack is almost 500 bucks, and Warrior is a bit more than 1200 dollars. But, they will serve you for a lifetime. Well, if you are willing to pay more and want to lift weights seriously without worrying about bending, breakage or other problems, you will never be disappointed with Rogue. Everything functions as it should. Plus, you get a lifetime warranty. On the other hand, if you are on a budget or you are satisfied with average quality barbell and weights, check out the other items on this page. 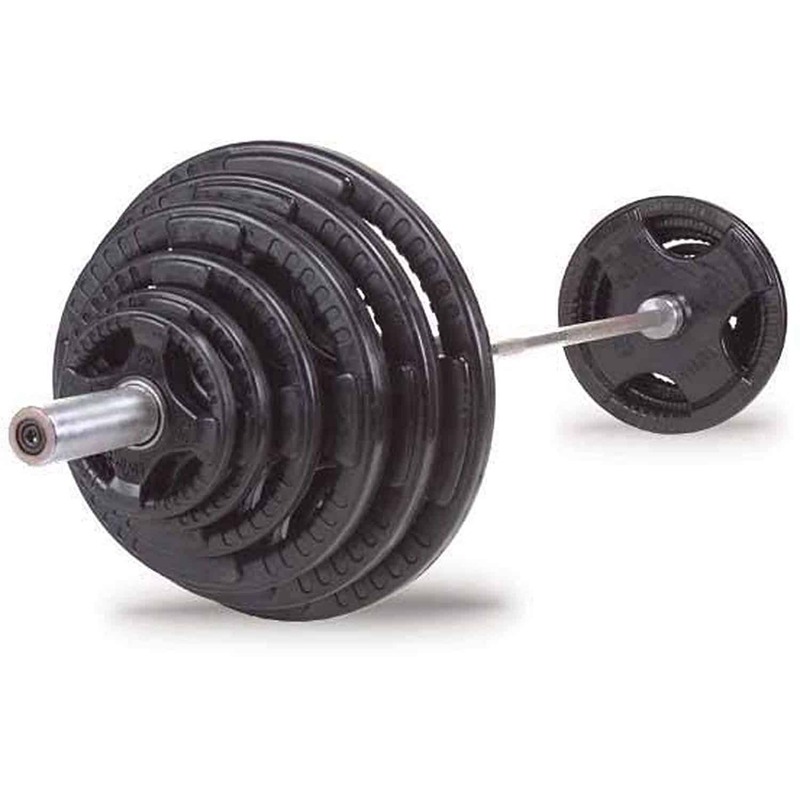 Still not the cheapest weight bar set, but high quality and we can choose from various types of Olympic plate sets with a comfortable grip design. 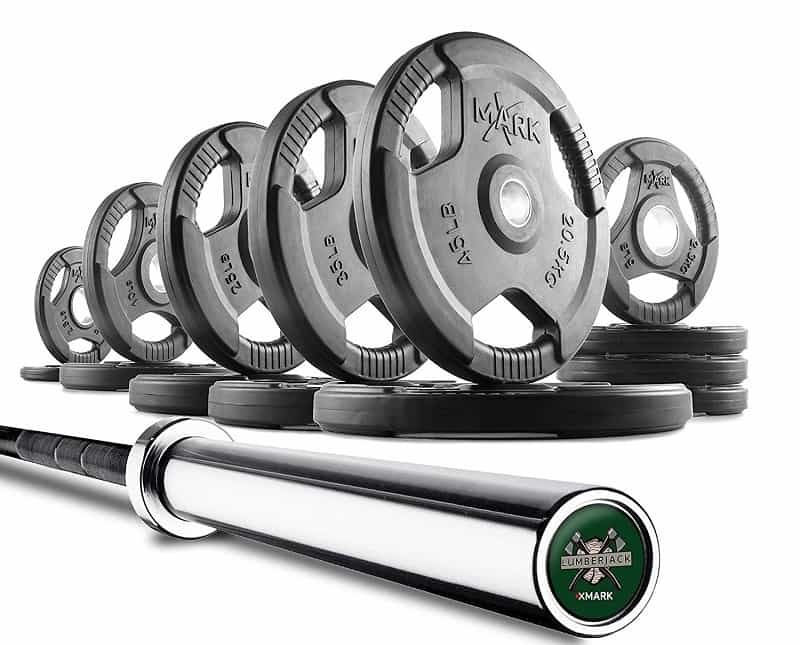 This free weights set comes with a standard 7 feet Olympic barbell with a high-quality shaft coating giving longevity. That coating is black manganese phosphate which drastically improves rust resistance and provides the bar with shaft a slightly tacky feel. The tested maximum capacity of the barbell is 700 lb. If you are searching for easy to grip weight plates, then you have 3 options. This type comes with 5 grip handles fitting safely and comfortably in your hands, although people with big hands may find the spaces a bit tight. The precision stainless steel hub helps to mount the plates quickly. The cast iron plates are covered with a premium quality rubber casing. As you see these plates come with two larger holes and two large diameter handles for secure gripping. The other features are the same as the previous. These plates come with larger openings, so people with big hands may find this type the most comfortable to use. Personally, I would get these. The other features are the same as Texas or Signature. Keep in mind that each type of Olympic weight plates above are covered with rubber so you may experience a slight odor that goes away over time. Well, you can choose from 15 types of sets, even you can buy just the bar. The minimum amount is 155 lb which is enough for a beginner. The maximum is 365 lb which amount is suitable for even advanced lifters, although the bar can be used up to 700 lb. If you need a bar with higher capacity, the XMark Voodoo Commercial 7′ Olympic bar weight set with 1500 lb maximum is a better option. Well, this Olympic barbell weight set is still an almost commercial grade home gym equipment, but the prices are lower compared to Rogue. 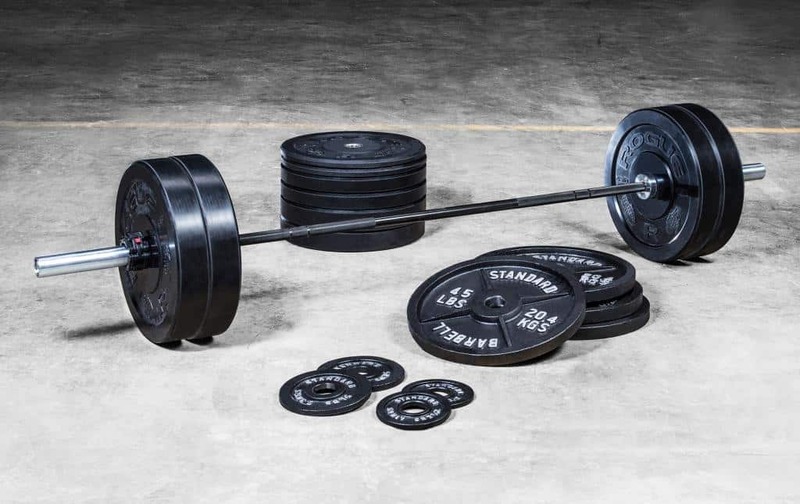 The basic set with a barbell and plates (155 lb) is about 440 dollars. However, the biggest 365 lb is around 800 dollars. There is a 5-10% difference in prices depending on the type of plates you prefer. 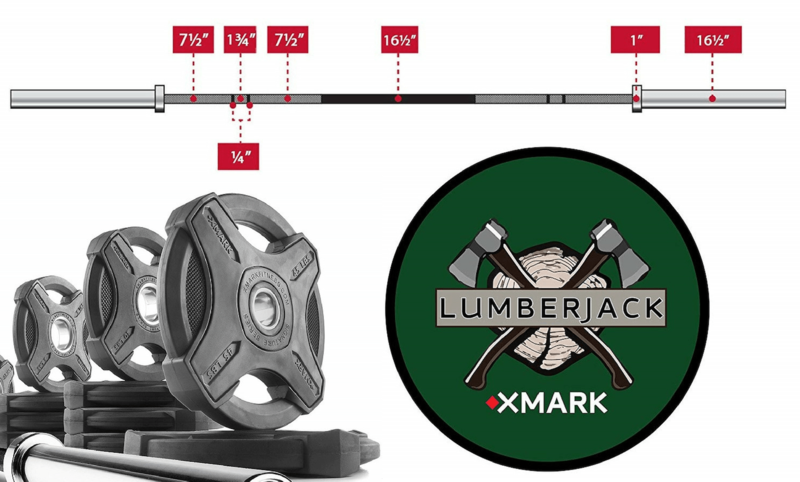 Well, if you are searching for a reliable easy to grip home weight set with barbell, Xmark LumberJack packages are worth to consider. You can pick from different sets to find the one that suits you the best. No matter which option we choose, it will serve the needs of anyone who wants to lift weight at home. We can choose from standard black or grey plates and bars. The quality 2-inch Olympic plates come with satin enamel finish, not rubber covered, but still easy to handle them. For a bit more price we can also choose the VTX Olympic steel weight set coming with 3 grip holes for more comfortable usage. 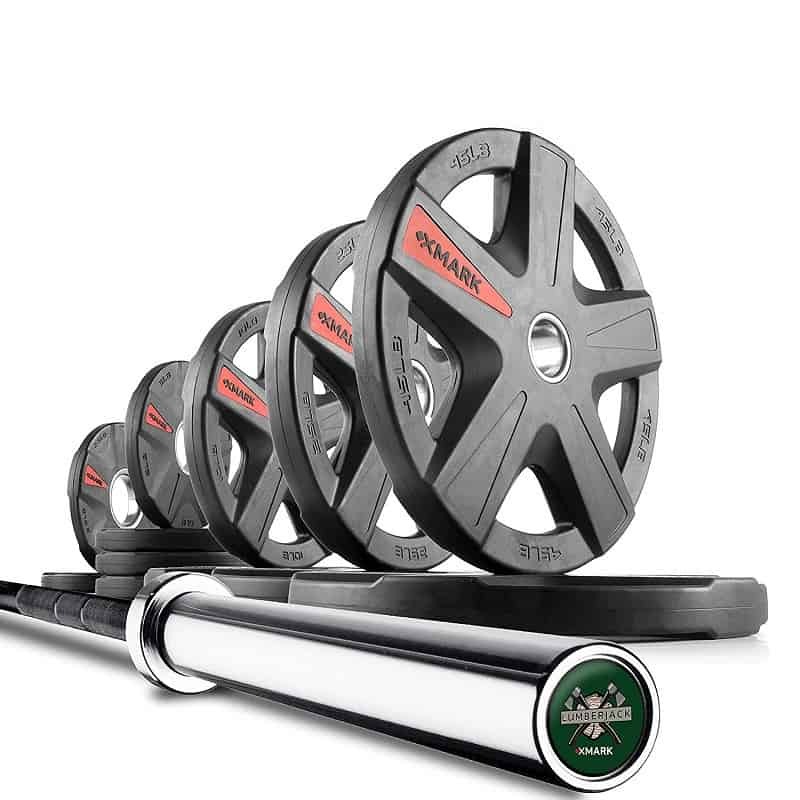 The 300 lb weight set includes the following: 1× Olympic 7’ Chrome Bar, 2× 45 lb., 2× 35 lb., 2× 25 lb., 2× 10 lb., 4× 5 lb. Plates, 2× 2-1/2 lb plates and 1 pair spring collars. Well, obviously this set is not as professional as Rogue or Xmark, but for the average Joe, it will do for sure. You may experience a bit of rust here and there after a time, but its price is just half. This barbell weight set will serve you for a long time. Body-Solid is a reliable brand selling products at a somewhat affordable price. This is a classic set with a 7′ long and 45 Lb. Olympic barbell. And, with rubber covered plates with 4 grip openings for easy handling. There are 300 lb, 400 lb, and 500 lb sets. The users say the workout experience is excellent. It is easy to mount and unmount the plates, and there is no rust or bending. The only complaint is the odor of the rubber, but it goes away with some time. There is nothing more to say about it. It is traditional workout equipment which should be a perfect choice for a home gym. A bit more expensive than the previous one, though. Haven’t you bought a set before? Here are some tips on what to check out before purchasing. The bar is the most critical part of a set. Olympic bars are typically 7.2 feet long and 45 pounds heavy. (Although, there are there are shorter and lighter types.) I recommend getting similar to this size as that is the standard, compatible with other home gym equipment. The diameter of the bars is around 30 mm (+/- 10%) which is suitable for most of the people. If you have smaller than average hands, you may get a thinner bar and vice versa. A crucial factor is the weight capacity of the bar because that shows how durable and safe to it is. I believe, 500 lb is the minimum even if you lift moderate weights. For home usage, 700 lb capacity is enough. As you saw above, we can pick from various plates. With and without an easy to grip feature, rubber covered or not. Rubber covered weight plates are better to buy since they do not damage the floor, there is no rust and easier to handle. But, they cost a little bit more. To tell the truth, I do not care about comfortable gripping, but if it is essential for you, get weights like that. 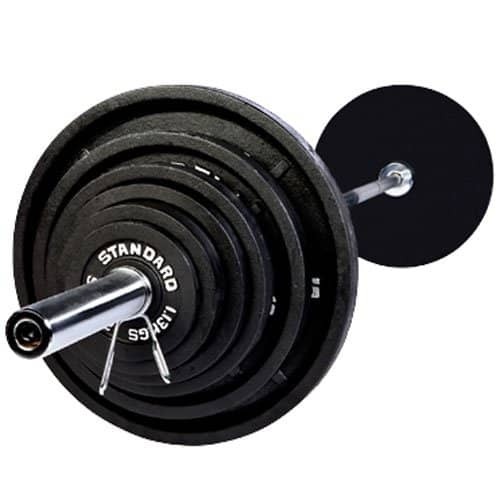 Standard weight sets with 1″ holes. Olympic free weight sets with 2″ holes. The home gym equipment above are sets, so everything fits with everything perfectly. But, keep the holes in mind if you buy items individually. If you are at the beginning of building your home gym, you may consider buying additional machines to maximize the possibilities of the barbell weight set. The power cage is essential to perform the most effective strength training exercises safely, even without the need of a spotter. Safe squats are impossible without it, but a rack is so versatile that it would be hard to list all the exercises. You can check out the best power racks here. The other is the adjustable workout bench which is required for bench press. Since you can modify the angle of the board, you can do flat, incline and decline bench presses. Obviously, you can use it for other barbell exercises as well. You can check out the best adjustable weight benches here. How to get rid of the odor of rubber? Well, this is a typical problem. With time it goes away. Take the plates outdoor for some time and wash them with soapy water. I need a very cheap barbell weight set! Any? Well, if you are just a “hobby” lifter on a budget, you may consider this 55 lb bar and weight set. Although, do not expect too much from it. 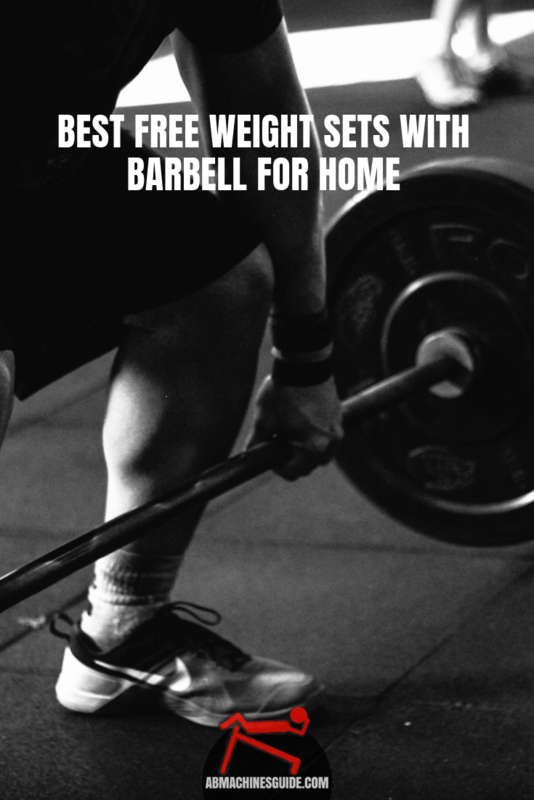 I hope you find the best home weight set with barbell for you. The gym stuff above are quality pieces made by trusted manufacturers, you will not regret no matter which you buy. If you have any questions, feel free to ask below.